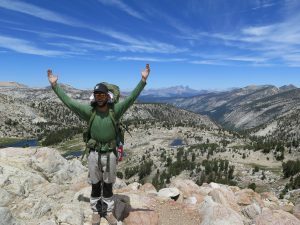 Welcome to The Backpack Guide! My name is Tucker and I’m excited that you chose The Backpack Guide as your go-to resource for backpack reviews and information. I look forward to helping you find the pack that’s perfect for you! After years of personal backpacking and guiding outdoor trips, I’ve become frustrated by “technical difficulties.” There’s nothing worse than having your gear bust when you’re miles away from civilization and relying on the equipment you’ve invested in to get you through! You shouldn’t have to worry about the state or stability of your gear. Your time is much better spent taking in the natural beauty of the world than fussing over a pack that’s not meeting your needs. Dealing with pack malfunctions or realizing your pack isn’t right for the trip you want to take is frustrating because they aren’t cheap! I started thinking there must be a better way to make the right gear selection the first time around. From my experience, different situations call for different equipment. I want to help you find the pack that’s right for the way YOU want to use it! My goal is to provide information on industry-leading packs to help you make the most educated decision on the pack that’s right for you. From size to fit to features, there are many elements that go into selecting a quality backpack. I want to simplify the process by getting down to the most important factors: what you want to carry and where you want to go. It’s that simple! Come on in and find your perfect pack today! If you ever need a hand or have any questions, feel free to leave them below and I will be more than happy to help! Hello Tucker. I was going through your site and I need to know what size is carry on for airline travel. What would you recommend for a weatherproof backpack for when I ride my motorcycle. Last thing is what would be a good back pack for holding a survival rifle for British Columbia hiking. Standard carry-on dimensions are 22″ x 12″ x 9″. However, this will vary depending on which airline you’re traveling with. So a good thing is to check their specific requirements. As far as weatherproof packs go, I would look into some of the backpack dry bags offered by a company like NRS. They offer a variety of sizes depending on your specific needs. And as for a pack to hold a survival rifle, I’d look into companies like ALPS, Overwatch and Red Rock. They offer a few packs designated for that express purpose.